Being at the beach during the summer is a slice of heaven. You have your books, your sunglasses and your oily suntan lotion that you ask your boyfriend or husband to reapply once every hour. But, when he says that your face looks really oily and sunburned and that you should head inside, that is when you remember that you are wreaking havoc on your face. Something essential to include in your makeup cleansing regimen is toner. Perhaps you know what it is about, or maybe not, but what you should know is that it is not only for acne prone skin and that it doesn’t only “tone” your skin. Toner actually helps your skin rid itself of free radicals and are now alcohol-free, so not only is it good for your skin, but it also feels great upon application. Free radicals are anything negative that can deprive your skin of oxygen, making it look dull and lackluster. Toner also removes impurities from your pores while closing them so they can remain grime free. It is great to use before you go to sleep or in the mornings underneath your makeup. 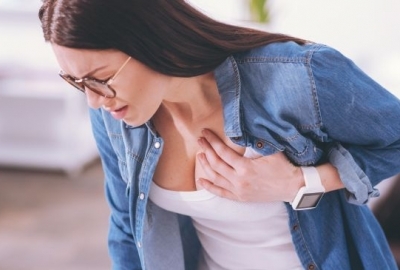 Years ago, most toners included alcohol and were specifically for people with acne prone skin, since acne forms in clogged pores, and toners with alcohol aimed to tighten the skin. Now you can get alcohol-free toners with softening ingredients to include as part of a daily regimen or to just use as a refresher throughout the day. I have two alcohol-free facial toners that I alternate between, and they help keep my skin pH balanced after I have been in the sun all day and am trying to rid my face of sand, suntan lotion, sunblock, eye serums, etc. 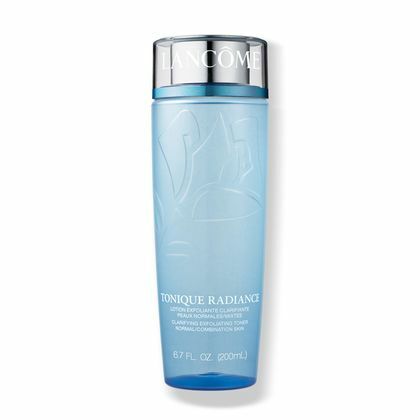 Lancôme’s Tonique Radiance hydrates your skin after a long day at the beach. The clarifying exfoliating toner by Lancôme called Tonique Radiance is my favorite. It really hydrates my skin after a long day at the beach and leaves it feeling exceptionally soft. It is made with white lotus and anise extract, which are the ingredients that allows it to produce a great cell turnover rate and leaves your skin feeling baby soft after application. It has a bit of a medicinal smell, which could be due to the anise, but it is so hydrating and makes your pores feel clean that you will use it daily. 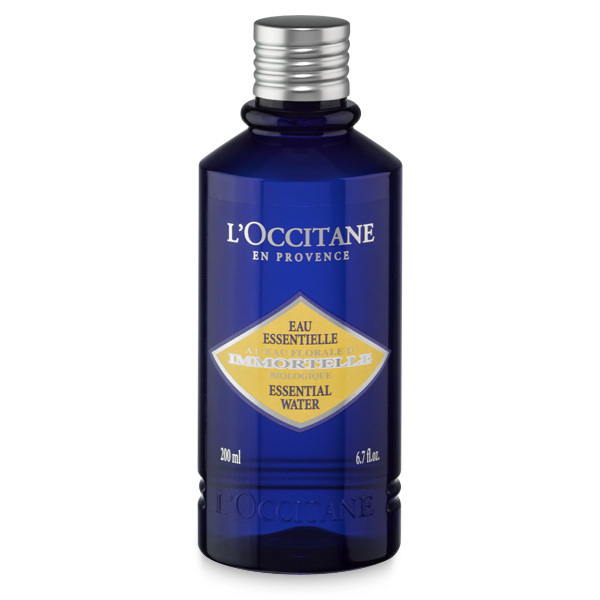 The second toner that I use is Immortelle Essential Water by L’Occitane en Provence. This one does not feel as hydrating upon application and leaves the skin feeling a little tighter than the Lancôme toner, but it has a wonderful smell. It smells very floral and smells are really important when it comes to most products, so this one is enjoyable to apply. There is also a spray bottle version that makes it easy to throw in your bag for the beach and spray on throughout the day as a refresher. It includes green tea extract, which is one of the most studied products in beauty care to help with your skin’s cell turnover rate, which in turn will help protect your skin against free radicals. Use this one when my skin is not as sunburned since it does shrink the pores more than Lancôme’s toner, which means is includes more firming properties. When your skin is sensitive, this might irritate it a little bit. L’Occitane’s Immortelle Essential Water includes green tea extract, which helps with cell turnover. Days at the beach make for great memories, so don’t facial complaints ruin them for you just because you’re out in the sun and around a lot of debris and toxins harmful to your skin. We can’t avoid all the things harmful to our skin at the expense of a great day at the beach while reading your favorite novel. 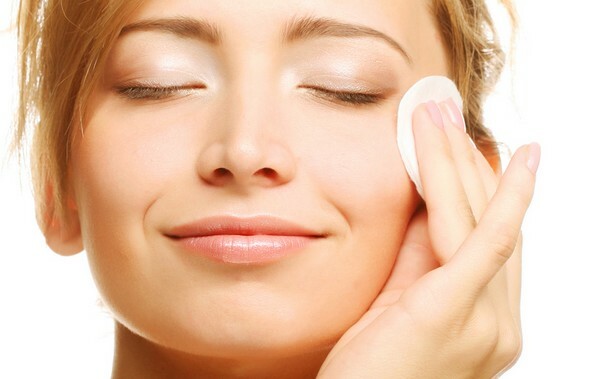 Using a toner under your makeup or before you go to bed to let your skin rest will help ensure that your skin gets the proper care it needs by fighting off free radicals, keeping your skin at the right pH balance and closing your pores so that dirt and grime are less likely to penetrate through your skin.